This article first appeared in Canadian Mennonite. It’s been 25 years since the military faced off against Mohawk Warriors in the pine forest between the village of Oka and the community of Kanehsatake, 53 kilometres west of Montreal. The 78-day armed siege was the most violent and consequential clash between indigenous people and the Canadian state in modern times. The flare-up was sparked by a proposed golf course expansion and condo development that would have turned a Mohawk cemetery into a parking lot. It represented something much bigger – a society divided by race and seething with anger. The images were jarring: tanks rolled through quiet little communities; automatic weapons were brandished on both sides; white rioters burned effigies of Mohawk warriors; and, in an iconic image, a soldier and Mohawk Warrior stared each other down at point-blank range, generations of tension compressed into the few inches between their steely faces. On July 11, 1990, filmmaker Alanis Obomsawin, a member of the Abenaki nation, was driving to work when she heard a radio report about the initial police raid on what had been a peaceful Mohawk camp. She didn’t make it into the office that day. She went to Oka. In a chaotic exchange of gunfire that day, an officer was fatally shot. Though no proof was presented that he died from a Mohawk bullet instead of friendly fire, tensions skyrocketed. The Warriors set up barricades on the highway. A thousand police officers were called in. Obomsawin’s National Film Board production, Kanesetake: 270 Years of Resistance, stands as the definitive documentary about the Oka Crisis, a messy depiction of the open wound at the heart of a society. Behind the scenes, Mohawk leaders were in talks with government officials. Veteran Mennonite mediator John Paul Lederach was invited by Mohawk leaders to serve as a resource. As Lederach wrote a year later, the Mohawks put forward a “clear and serious offer presented in good faith” at a key point in the conflict. Government responded by calling off negotiations and bringing in the army. Eventually, 30 Warriors and about 20 other supporters holed up on the forested grounds of a treatment centre across the road from the cemetery. Obomsawin was there too, sleeping for a time under a shelter made of garbage bags, providing an intimate view of life under siege. Twenty-five years later, her voice turns hesitant and edgy as she recounts the final days. “[The Warriors] were pretty much making their wills,” she says. In the neighbouring community of Kahnawake, Mohawks blocked the Mercier Bridge, which handled about 65,000 vehicles a day headed to and from Montreal. In a particularly disturbing scene – one later expanded into its own film. Obomsawin shows a convoy of Mohawk community members leaving Kahnawake being pelted with large rocks by white rioters as police stand by. An elderly man who was hit by a large rock later died of a heart attack in hospital. Back at Kanehsatake, surrounded and outnumbered, the Warriors decided to burn their weapons and walk out. They weren’t surrendering, just going home. Robert Martin-Koop happened to be on the highway overlooking the scene as the Mohawks walked. 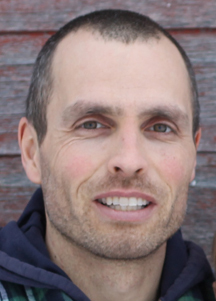 He was a Mennonite member of an inter-church group in the Montreal area that provided a supportive pastoral presence in the community of Kanehsatake just up the road from the standoff. “I happened to be standing very close to an officer,” he recounted. “I heard him say something to the effect of ‘let’s get them.’” Mayhem ensued. Screaming, shoving, people on the ground, arrests, rough treatment. What has happened since? The burial grounds and other nearby parcels were bought by Ottawa and added to what Aboriginal Affairs spokesperson Michelle Perron called the Kanehsatake “interim land base.” The golf course was not expanded. The condos were built elsewhere. Perron pointed to an online list of steps taken by the government between 1990 and 2010 to address Kanehsatake concerns. Despite generations of Mohawk efforts, the matter of them having been dispossessed of a homeland by deceitful means in generations past – as documented by Obomsawin and others – remains unresolved. Perron says negotiations are ongoing. Mohawk representatives did not respond to interview requests. Despite unrest and warnings across Canada, there has not been another Oka. The Caledonia conflict came closest. Obomsawin, now 82, says Oka was a national turning point. The arc of her work illustrates the change. Images of soldiers and warriors locked in stare-downs have been replaced in more recent films by images of indigenous people marching on Ottawa, young people speaking up in their own languages, calls for sharing, drums beating. Government authorities are not seen pushing back. Tellingly, they are essentially absent. The drama is muted. Is the conflict narrative giving way to one of reconciliation? Or are we in a generational lull before another Oka, perhaps a non-violent one? For more on Mennonite involvement at Oka, Obomsawin’s work, and the current state of Mohawk-Government relations see More on Oka. Or, download Kanesetake: 270 Years of Resistance here. Will Braun lives with his family on a small farm south of Morden, Manitoba. He does research and advocacy on energy and Indigenous issues, in addition to writing for Canadian Mennonite magazine. Braun is a former Geez editor.